Arriving soon: Fox4’s Lynnanne Nguyen and NBC5’s Alice Barr. Amid the wave of recent departures come two new arrivals to D-FW television news rooms. 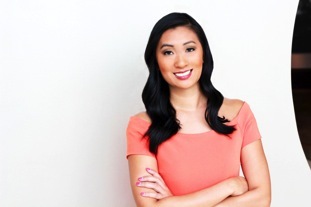 Lynnanne Nguyen is joining Fox4 as a general assignment reporter, the station announced Wednesday. She’s coming from Fox affiliate WHBQ-TV in Memphis and will start at Fox4 on April 25th. Alice Barr, who’s been reporting for CBS affiliate KHOU-TV in Houston, is joining NBC5 in that capacity. Her fiancee, KHOU photographer David Soltis, also has been hired by NBC5. Houston-based blogger Mike McGuff was the first to report their departures. They’ll respectively be leaving KHOU on April 21st and 22nd, says McGuff. 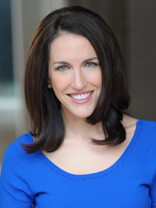 Barr is the second Houston TV reporter to join NBC5 this year. As previously posted, the station recently hired Courtney Gilmore from Houston’s KPRC-TV, an NBC affiliate. Barr was with KHOU for two years and also is a Northwestern University graduate. She earlier worked at TV stations in Cedar Rapids, Iowa; Rockford, Illinois; and Billings, Montana. NBC5 vice president of programming Brian Hocker said Wednesday that Barr is scheduled to join the station on May 9th and will be covering Fort Worth for both daytime and evening newscasts.